Really, the term “natural link” is a little deceiving because it implies that you didn’t do anything to get the link. The opposite is true. Natural links are the hardest links to achieve, which is why they also tend to carry the most weight with the search engines. Natural links typically point to website pages that include content that is valuable to a target audience. That content could be entertaining, informative, or newsworthy. If you’re running a business, it’s not going to be your service or product pages. Instead, it will be the blog post content that you write. If you are unable to maintain an active business blog, consider outsourcing the blog post writing work. Really great content loses some of its luster if its published on a not so great website. 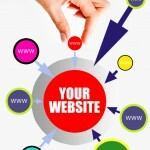 It’s really the whole package that people are linking to: the great content and the great website that is user friendly. A business website needs to be professional and modern. Sometimes an outdated website is enough for someone to click off of the page, even if the text is useful. 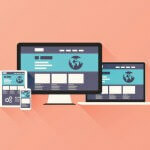 Updating your website design at least every five years or so is a good idea to keep things “fresh.” And always incorporate any new best practices. For example, if your website isn’t mobile friendly you are past due for an upgrade. When you share a link in social media, this in itself means absolutely nothing for SEO. These links are nofollowed and don’t contribute to a link portfolio. However, sharing links in social media is a way to attract attention to your website content from interested parties. If the content is good and someone enjoys it, they might share it with their social followers which extends its reach, or even better, link to it on their website property. Social media essentially is a way to showcase your content and get eyes on it immediately. If you’re thinking, “this is going to take a lot of time and resources”, you’re right! Natural inbound links are like a goldmine for SEO. And nothing valuable is ever easy! If you don’t have the bandwidth to do these things in-house, outsourcing the SEO work is always an option.